Korean medicine is a division of Asian traditional medicine that has grown independently within the Korean peninsula after being introduced from China as Chinese Han dynasty Medicine 2,000+ years ago. The successive Korean royal lineages maintained active exchange of knowledge, learning, civilization, culture, human resources, and goods and supplies with China and Japan, furthering development and cultivation of Korean medicine and culture. The main and most basic principle of Korean medicine is in its holistic approach to the human body, which holds considerable merit in individually-tailored health care in light of the shortcomings of its contemporary conventional counterpart, allopathic medicine. The history of Korean medicine is generally considered to date back 400+ years ago from the Chosun dynasty, originating with the publication of 『Donguibogam (the Mirror of Korean medicine, i.e. 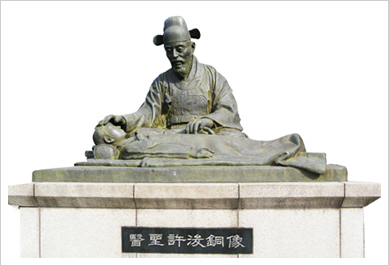 Principles and practice of Eastern medicine)』 written by Heojun, a palace physician commonly and affectionately referred to as the Father of Korean medicine. This publication is a systematic and comprehensive compilation of previous Chinese medicine literature, and proudly introduces Korean medicine as "Eastern Medicine (東醫)" indicating that Chosun is situated to the East of China. This record is written in Korean version Chinese characters and was designated as a UNESCO world cultural heritage on July 31st 2009. Still, even this significant record seldom mentions Chuna manipulation, which may be partly due to the traditional cultural aversion to physical contact in the Chosun dynasty, potentially leading to delayed development of manipulation practices.